Next time you are in the gym, take a look around at the new faces you see. These are the people who set a New Year’s resolution to get in better shape and lose weight. Most of them won’t be in the gym with you in a couple of months. 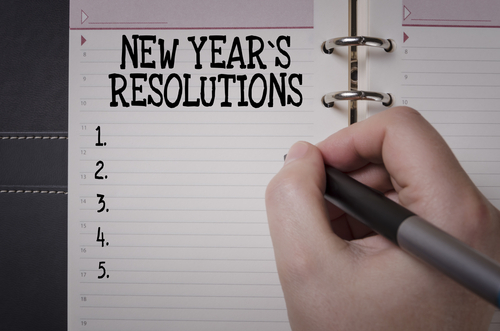 Research shows that less than 10% of people who make New Year’s resolutions successfully achieve them. How can we avoid this trap and successfully improve each year? Continuous Improvement–Buzzword or Way of Life? The worlds of sport, corporate America and other performance-oriented professions are fond of trends, fads, clichés and buzzwords. Continuous improvement is a quite popular one these days. As with most buzzwords or clichés, they are popular because they express a worthwhile idea. The problem is not the clichés or buzzwords, but rather the fact that they become empty phrases. I’ve worked with teams and organizations that engage in a continuous improvement initiative as a flavor of the month. It is usually precipitated by some major failure, prompting the engagement of a consulting firm so the organization can demonstrate they are responding to the failure. As soon as the consulting firm completes their engagement, the team or organization returns to business as usual. In these environments continuous improvement is given high-profile lip service. This may result in temporary improvement but not sustainable excellence. This mindset is the reason most New Year’s resolutions fall by the wayside. If you have not adopted a genuine commitment to sustainable excellence, how can you expect to achieve something in a New Year simply because it will be good for you? You cannot automatically create motivation, commitment, mindset and discipline on January 2nd if it hasn’t been present in your life thus far. New Year’s resolutions are a faint hope of something you would like to achieve but have not developed the mentality, process and commitment to deliver. If you fall in this group, your first (and perhaps only) resolution should be to commit to a process of sustainable excellence throughout the entire year. On the other hand, I’ve also worked with athletes, executives, teams and companies who truly believe in the concept of continuous improvement. They seek to learn and improve every day. Failure and success are treated equally as learning opportunities. Performance is consistently and systematically evaluated and treated as nothing more than data. In this environment, feedback is a welcome and necessary tool for achieving sustainable excellence. If you are committed to performing your best every day, the New Year reminds you to identify goals you commit to accomplishing. It is not a new practice but rather the perfect time to refocus your energy in the coming year. To enjoy the fruits of my labor in retirement in an active, healthy manner. A popular adage in sport psychology and goal setting research is “Don’t think it, ink it.” Many studies demonstrate that people who put their goals in writing are much more likely to achieve them. Recording your goals serves as a call to action. You should refer to them periodically and hold yourself accountable. It is a visual reminder that you made a commitment. When you keep your goals in your head they are nothing more than good ideas. Making a commitment to others has also been shown to increase goal achievement. A study from Indiana University showed that married couples who joined a health club and worked out together had a 6.3% drop-out rate over the course of a year compared to 43% for those spouses who worked out separately. The same strategy works if you commit to a friend, family member or fitness trainer. I’ve used the most common New Year’s resolution to demonstrate the mindset, approach and tools to achieve your 2017 goals. These principles apply to any area of your life you wish to improve — personally or professionally. Commit to being excellent, tie your goals to purpose, write them down and share them with someone important to you. This will land you in the 10% who actually achieve their resolutions each year!